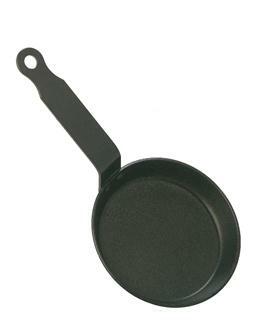 Special pancake pans in cast iron or sheet metal. Blinis pans for individual blinis or making several at a time. 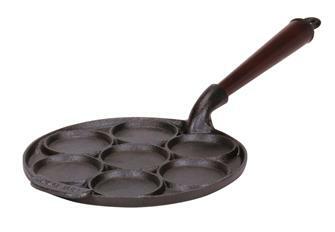 Pan for blinis and pancakes in black sheet metal, diameter 12 cm. Electric multi-functional brazier with 600 W power. 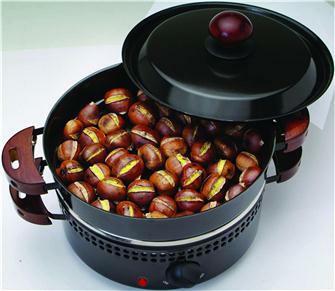 For cooking chestnuts and potatoes, grilling or making pancakes. Electric Breton crepe or pancake machine. 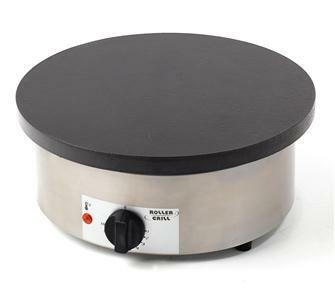 Diameter 40 cm, 3,600 W, large cooking plate in enamelled cast iron. 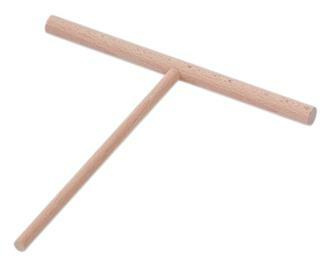 For making several crepes in no time. 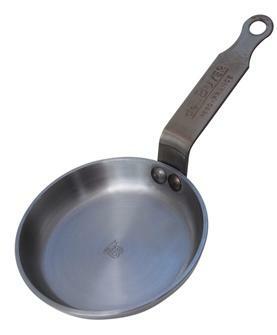 Steel crepe pan for induction hobs. 20 cm. 20 cm crepe pan in thick steel. Suitable for all hobs including induction. 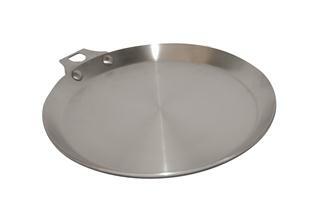 Steel crepe pan for induction hobs. 22 cm. 22 cm crepe pan in thick steel. Suitable for all hobs including induction. 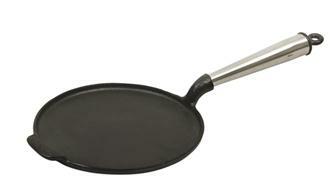 Steel crepe pan for induction hobs. 24 cm. 24 cm crepe pan in thick steel. Suitable for all hobs including induction. 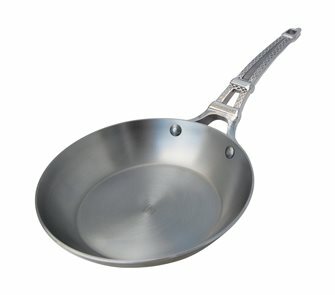 Cast iron crepe pan 23 cm, cold stainless steel handle. Metal crepe pan measuring 24 cm in diameter. For all hobs including induction. Made in France. 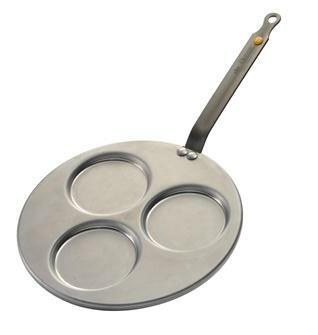 Metal crepe and pancake pan measuring 30 cm in diameter. For all hobs including induction. Made in France. 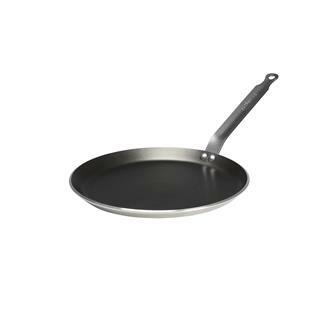 Non-stick induction blini pan - 10 cm. Suitable for all hobs including induction hobs. 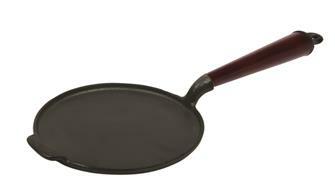 Cast iron 23 cm crepe or pancake pan, wooden handle. 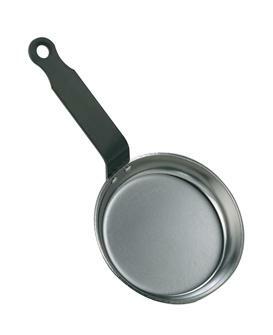 Metal crepe and pancake pan measuring 26 cm in diameter with no handle. Suitable for induction hobs. 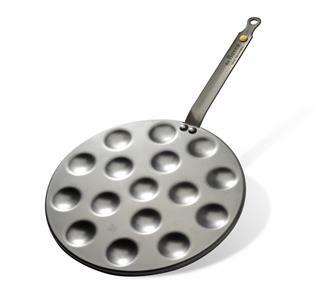 Pan for 16 mini blinis measuring 4 cm in diameter. Made in France. 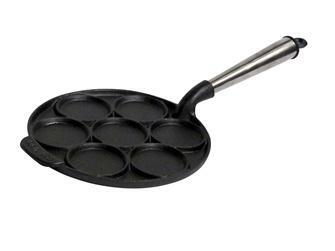 Silicone mould with 12 holes measuring 5 cm for cooking blinis in a classic 26 cm pan. 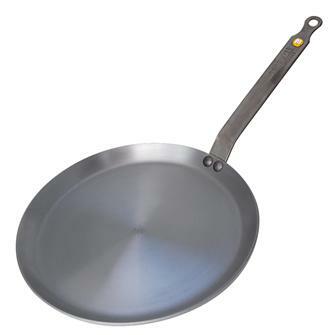 Non-stick aluminum pancake pan, non-stick PTFE coating without PFOA, diameter 26 cm. Blinis mold and silicone pancakes for 7 blinis 7 cm in diameter.